If you want to invest in the lifestyle, you should invest in the gear. Best for: showing of your stripper bum. These shorts provide everything you'd expect from high-tech fitness gear: wicking, lightweight material, a pocket in the back. But we like them for their snug inner layer, which ensures that whether you're doing box jumps or contorted, hip-opening stretches, you'll never expose your kettlebells to the rest of the gym. Best for: when you don't want to climb in an ice bath after training. These tights are an investment, but if you've ever done rope climbs with your shins exposed, you finished the workout (and the hot shower afterward) willing to pay almost any amount of money to heal all the horrific scrapes. Comprised of 24 individual panels, these tights follow the shape of your legs and support all the major muscle groups, and the material even adapts based on the temperature. But, for the love of all that is holy, please DO NOT wear them alone. No one wants to see that. 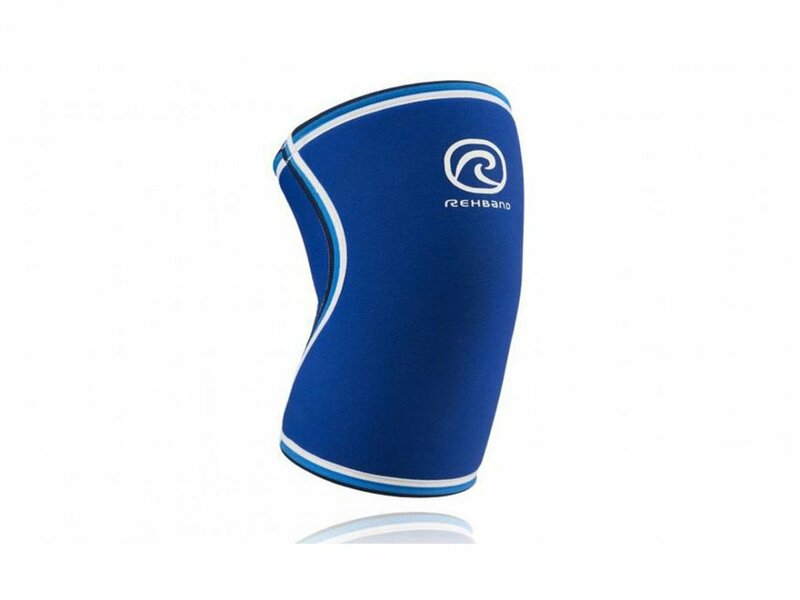 Best for: "looking" like a games athlete. If you want to compete with the best, you have to look your best. Released in time for the 2017 Games, this T-shirt is what the competitors will be wearing. It's designed to be super-cool—ideal for your annual Murph in the summer heat—and the batwing pattern on the back allows for a greater range of motion, ideal to show off all those months of shoulder mobility exercises you've been doing. This will be the only shirt you want to keep on during a WOD. Best for: when you are tired of wiping blood and skin off the rig, the floor an the people around you. These grips do the seemingly impossible: provide more protection than their peers while also being lighter and more durable. Read more at Bear Komplex. No. 5: Solid Salve Skin Healer by WOD Welder. Didn't shave down your callouses every night? Didn't wear your grips? Ripped your hands but still want to do five rounds of cleans, pullups, and toes-to-bars tomorrow? Heal up with Solid Salve, recommends Morgan Pitcher, a CrossFit games athlete with CrossFit Queens. Solid Salve is inexpensive, made of natural ingredients, and starts healing rips within 24 hours. Read more at WOD Welder. Best for: gains. All of them. The world’s best-selling whey protein delivers 24 grams of protein with low levels of fat and 120 calories. This superior quality powder has been instantised to mix easily using a shaker cup. There's no doubt that this is the gold standard by which all other whey proteins are measured. And it tastes damn good too! Read more at Optimum Nutrition. Best for: those awesome stripes you have seen on other peoples calves, thighs, backs and arms. 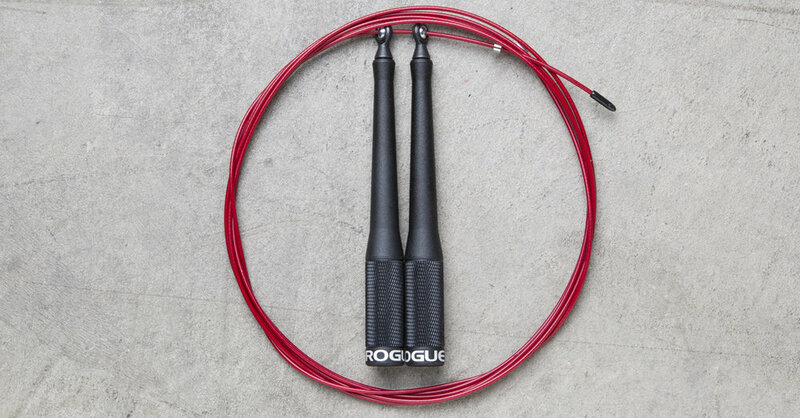 The Rogue SR-2 Ballistic Speed Rope is the high-performance, adjustable jump rope of choice for athletes, trainers, and gym owners who demand the best. Made in the USA using aircraft-grade aluminum and a 3/32” red-coated speed cable, Version 2.0 of the SR-2 also introduces a high-speed, ball-bearing swivel design, allowing the rope to move seamlessly in any direction. The exterior of the tapered handles has been updated, as well, and includes a sandblast textured spindle with a fine, knurl-textured grip. Both of the 6.75” handles feature a built-in, laser-cut Rogue logo endcap in white. When it comes to quality construction, blazing speed, and a smooth spin, the SR-2 Ballistic Speed Rope knows few rivals. Get your double unders up, hit new PRs, then come back and do it again tomorrow. Read more at Rogue Fitness. Best for: recovery that actually tasted good. LIFEAID founders Orion Melehan and Aaron Hinde first met in a Crossfit Box in Santa Cruz, California, in 2009. Melehan was a Certified Financial Planner and Hinde was a sports chiropractor who worked with many local athletes. A friendship was quickly struck, which later evolved into a business partnership. The two were convinced that conscious consumers would start to demand alternatives to high sugar, high caffeine and artificial mass market drinks. They were equally convinced that consumers were looking for more functionality than the caffeine found in energy drinks or isotonic sports drinks. After months of brainstorming and collaboration, they created their vision for LIFEAID and funded it with a mere $30,000 apiece. Melehan’s financial expertise helped craft the business plan. Hinde’s background in nutrition and chiropractic care proved essential when developing LIFEAID products as he worked with their team of a biochemist and beverage scientists. 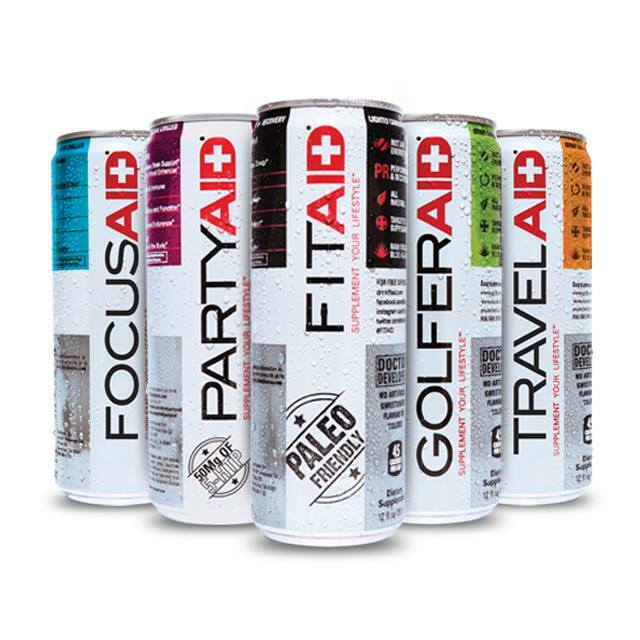 LIFEAID now makes six specially-formulated blends, plus a protein/carb food pouch Fast forward to today and the company’s products can be found in hundreds of golf courses, thousands of gyms, and nationwide in fine retailers such as Whole Foods, Sprouts, and The Vitamin Shoppe. FITAID is the official recovery drink of the 2017 CrossFit Games LIFEAID remains an independent brand run by its founders – not a subsidiary of a large beverage conglomerate. That spirit of independence is reflected in their company culture, the products they offer and the communities they serve. Best for: literally everything. And looking good naked. When it comes to your goals and aspirations in the areas of physique alteration, sports performance, and health, it is very important to target your time and efforts doing what works, and avoid doing what doesn’t. You care too much about your appearance, health, and performance to settle for a suboptimal product. 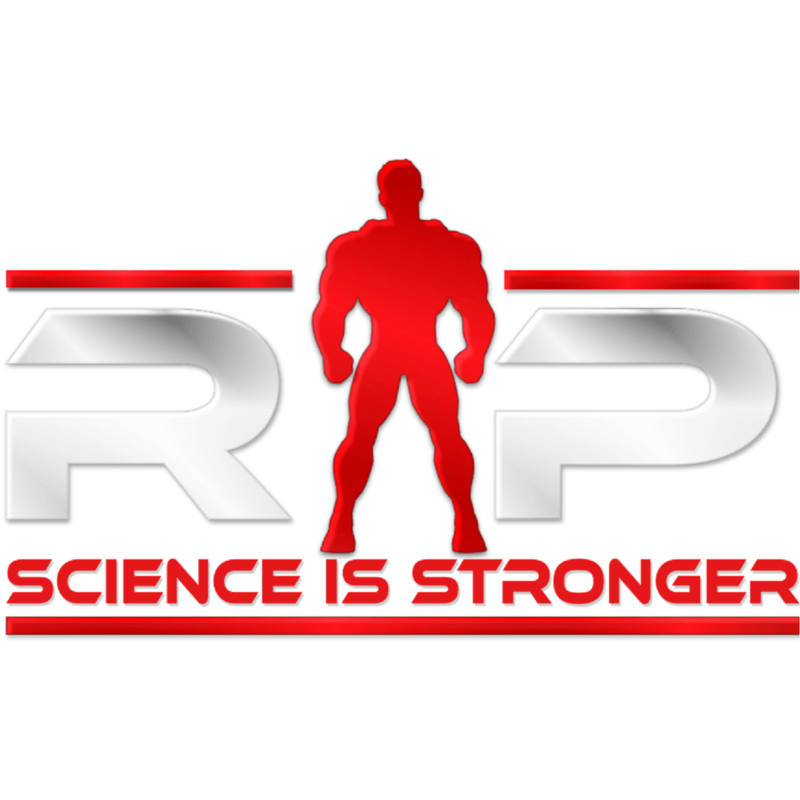 Renaissance Periodization was founded with the understanding that science is the surest path to the truth, and in this field, to results. Our approach is the rigorous application of scientific principles to nutrition and training. Everything we do is built on a foundation of peer-reviewed literature and experimentally confirmed theory. Read more at RP Strength. Best for: people who need every bit of support they can get. Rehband’s knee supports have become almost ubiquitous in CrossFit boxes and powerlifting gyms these days, and for good reason: The neoprene sleeves provide stretchy warmth and compression around vulnerable joints during Olympic and powerlifting workouts. Rehband makes a 5mm option for CrossFit, but we like the signature 7mm Blue Line models. Just remember to wash them. Regularly. Thank us later. Best for: Lifting. Running. Jumping. Going. Stopping. Dancing. The Nike Metcon 3 keeps all the critical design components of the previous Metcon series while introducing an updated drop-in midsole—for max stability + flexibility in the forefoot—along with a new range of colors. This is one of the most versatile, high-performance cross-training shoes ever developed, and it’s trusted by a wide range of athletes at the highest levels of competition. With a firm rubber heel, low-profile heel clip, and exclusive Flywire technology, Metcons are built for a lockdown fit and a dependable flat platform foundation, improving explosiveness on heavy lifts. The shoe’s molded flex grooves, light breathable construction, and embroidered TPU reinforcement also make it uniquely optimized for sprints, climbs, box jumps, distance runs, and day-to-day abuse. An abrasion-resistant film around the midfoot is critical to reducing heat and friction during a high octane training regimen, and the Metcon’s dependable traction performs on the gym floor, the track, and training grounds far off the beaten path. Nike also offers some of the sickest customs options out there. Best for: letting your weirdness shine. Stance delivers everything a high performance athlete needs from the footwear within his footwear: comfort, breathability, cushioning, stability, and style. The lightweight, anatomically contoured athletic sock features top-quality, moisture wicking fibers, along with vented mesh from the top of the foot to the arch and an articulated footbed for superior airflow. Since 2009, Stance has emerged as one of the fastest growing sock manufacturers in the world, with their “Uncommon Thread” gaining favor among leading pro athletes, musicians, artists, and more. We love these socks. If you have never worn a pair then you are in for a treat. But, be warned, you will never be able to wear any other socks. They are like little hugs for your feet. 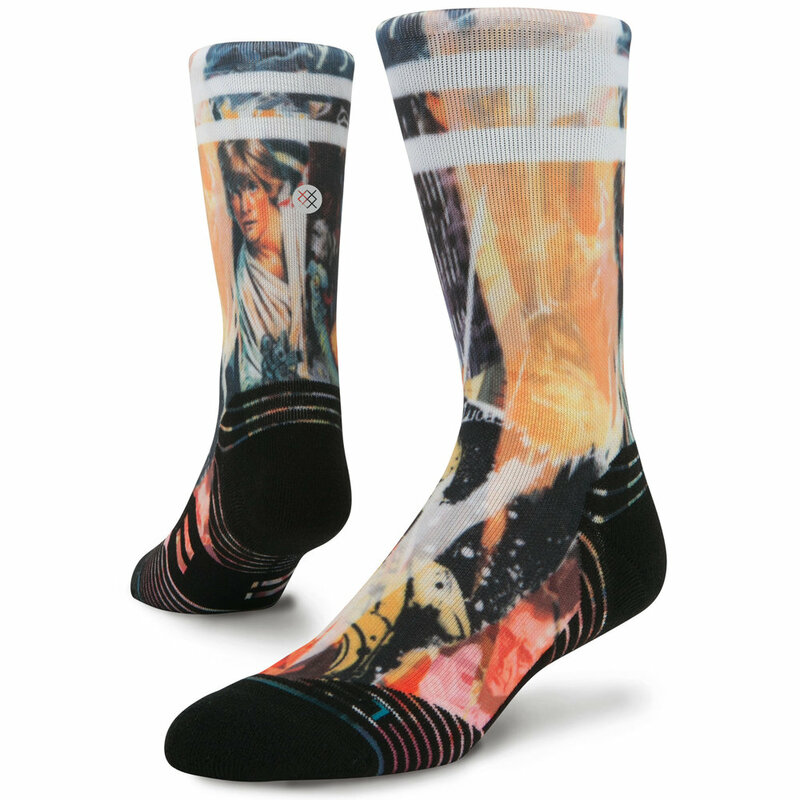 Read more at Stance Socks. Best for: mathematically disadvantaged lifters. StrongLifts is the biggest resource for simple, effective strength and muscle building. No drugs, no bogus supplements, and no complicated routines. Just three exercises, three times a week, for about 45 minutes per workout. Thousands of people have already changed their bodies, and lives, with the StrongLifts 5×5 workout. Track your StrongLifts workouts with the free app. You’ll know which exercises to do, with how much weight, how long to rest between sets, and what to do when you plateau. It’s like having a personal coach in your pocket. With two million downloads and thousands of five star reviews, people agree – this app makes training so simple, once you’ve used it, you can’t lift without anymore. We love the fact that you can check your progress with a couple if nifty graphs, work it from your smart watch and you get to squat three times a week. Plus, did we mention you will be one strong mofo? You cannot say you have done Murph until you have done it with a weighted vest. End of story. No excuses. 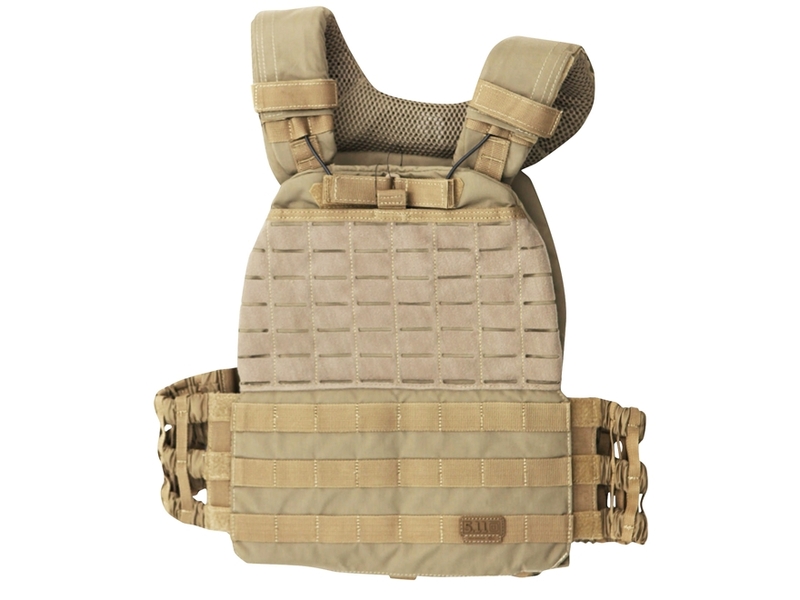 And the TacTec™ Plate Carrier is the vest to do it in. It is comfortable, easy to put on and take off and it looks so freakin awesome. 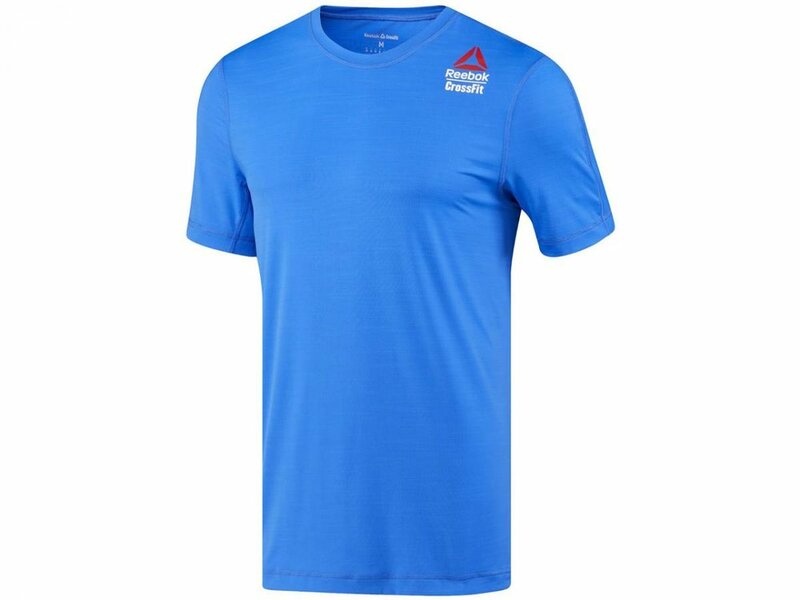 You can personalize it with numerous patches and training with this thing on will automatically make you go 25% harder. The main thing is the quality. Believe us, you have not seen a weighted vest like this until you have held the TacTec™ Plate Carrier in your hands and put it on. It is just that awesome. Read more at 5.11 Tactical. All products shown above are available directly from Dude Awesome. For more information contact us here. It's not every day that we find a cookbook that caters so aptly to our appetites for grilled meat and southern fare, which is why we were stoked to get our hands on a copy of Matt Moore's A Southern Gentleman's Kitchen. Grilled Caesar salad? Why not? Hushpuppies? Yes, please. Pan-seared venison? We won't say no. But he really had us at Ernest's Smoked Ribs, which is why we're sharing this mouth-watering recipe with you — just in time for summer's last few weekends in front of the grill. Ernest is one of those proud and few folks in the South that can only be appropriately classified as “a character." Trust me; such distinction carries a high honor down here — one beyond his days of serving for our country — but one of which is only earned with age, honesty, and a bit of good humor. During my bachelor years, Ernest became my tried and true friend to call when the weekend siren songs of Nashville's Lower Broadway called my name. A few alcohol- and bravado-fueled cab rides were all it took for me and Ernest to become fast friends – connecting on a level much beyond directions and payment options. In fact, as it turns out, Ernest – and his sidekick Snowball, a small white puppy — and I shared quite a few of the same interests when it came to fishing and food. For Ernest, food is the great equalizer in our world. I first learned this lesson by being served a plate of the most delicious BBQ I’d ever eaten after asking time and time again why his cab smelled "heavenly." It turned out that Ernest had plates of his creations – BBQ, greens, sauce, etc. – just waiting for me in the back of his ride! It don’t get any better than eating pulled pork while staring at the blurred lights of Broadway. As it is, I tried it once, and as Ernest says, "Once they try it, they gonna buy it!" Sitting in Ernest’s backyard on an early spring afternoon, just blocks away from my home, Ernest and I are jabbing at each other, as we always lovingly do, about our cooking and fishing techniques, just as much as we are respecting each other in the same manner. Ernest, a man who beat a lifetime of alcohol addiction, has come to find peace and harmony by sharing his food with others. We joke about the fact that his neighbors all have him on retainer for his BBQ’d pork shoulder, ribs, goat, venison, and turkeys. Such good food (and personality) has made Ernest a trusted neighbor – I’m certain he knows everyone by name in east Nashville – not to mention a hot-shot caterer around town. Furthermore, Ernest portrays a richness of life to the likes of which any man can admit jealousy. He shares with me that it’s a respect for others which he holds to the highest echelon of being a man in today’s South. He’s kind enough to let others “be” – but never afraid to share his passion and love for those who might be suffering or indifferent. Beyond work, cooking, and bullshitting, Ernest spends his time mentoring young African American’s at the Church of God in Nashville and beyond. He is a leading example that good fruits and food are the result of one’s passionate labor. I’ve come to realize that Ernest has the secret to life all figured out: be kinder than necessary, without judgment or prejudice; project positivity; and always be willing to invite a stranger to the table. Try it — and I promise y’all will buy it. Like most BBQ experts, Ernest is pretty secretive when it comes to his exact recipe and methods, a process he’s been perfecting since the 70s. Nevertheless, I was able to get enough information out of him, while reverse-engineering my own concoction after tasting his delicious ribs. My take pays homage to Ernest’s belief that ribs should be cooked low and slow, always over indirect heat, without too much fuss when it comes to seasoning. Let the pork and process speak for itself – that’s a belief we both share. From there, I emulate Ernest’s famous habenero BBQ sauce – one that packs plenty of punch and spice to set these ribs over the top. Prep time: 30 minutes. Cook time: three hours. Serves eight. 1) Prepare the dry rub by combining all ingredients into a mixing bowl. Use a fork to break apart any small clumps and mix until evenly incorporated. Set aside. 2) Next, use a paring knife to remove the thin membrane along the underside of the ribs by making a small slit between the membrane and the bones on one end. Use your hands to pick up and pull the membrane from the underside of the ribs; it should come off in one large section. Rub each rack with vegetable oil, and sprinkle both sides of each rack liberally with the dry rub. Using your hands, rub the spice rub into the meat. Place the racks onto a baking sheet, cover with foil, and place into the refrigerator for at least one hour and as long as overnight. Prior to cooking, pull the ribs from the refrigerator to come back up to room temperature, about 30 minutes. 3) Prepare a grill or smoker for indirect heating. Using a chimney starter, light approximately five pounds of lump charcoal until they are completely grayed over. Place the lit coals around the perimeter of the grill, or the side box of a smoker. Cover grill and open the top and bottom vents to allow the smoke to exit. Allow the grill to reach a heat of 225 degrees Fahrenheit. 4) Place the ribs, bone side down, on the grate and indirect from the coals. Cover grill and cook ribs, adding five pounds of prepared charcoal as needed to maintain a constant temperature of 225 degrees Fahrenheit. After 90 minutes, use tongs to lift one end of the rack, causing the rack to slightly bend in the middle, indicating the ribs are done. If the ribs do not bend, cover and continue to cook and check the ribs — using the same method until they ‘bend’ — every 20 minutes. 5) Remove ribs from heat and tent with foil to rest, about 10 minutes. To serve, cut racks into thirds by slicing between the meat and the bone. Serve with warmed sauce on the side. 6) To make the sauce, bring the first seven ingredients to a boil over medium high heat in a medium-sized stockpot. When mixture reaches a boil, reduce heat to low and simmer for 10 minutes. Use an immersion blender to pulse and puree the ingredients until very smooth, ensuring no small pieces or chunks remain. Next, add sugar and ketchup, return to medium-low and simmer, stirring on occasion until slightly thickened and combined, about 30 minutes. Serve immediately or cool and store for later use. Grab a copy of A Southern Gentleman's Kitchen here. Matt Moore is a Nashville based writer, cook, entrepreneur, musician, and Southern Gentleman. His work has been featured on VH1, The New York Times, Art of Manliness, Southern Living, and others. He enjoys teaching others to cook and share great food — along with drinking cold beers with friends and strangers. Follow him on Instagram here.